I’ve been Next Gen’s Director of Community for almost a year now, and every day, it feels like the world’s most fulfilling role. I’m often asked what a day in the life looks like, and it can be summarized in one word: Support. 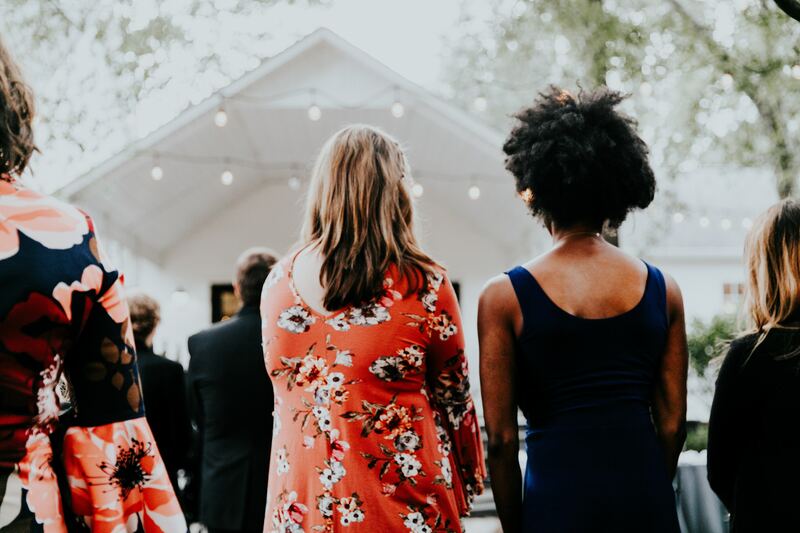 We believe the key to a thriving community is supporting everyone who enters, no matter how long they’ve been around, and creating sustainable, meaningful relationships that mimic friendships rather than professional contacts. Within the Next Gen Community, I’ve had the privilege of meeting the leaders and curators of some incredible communities. As fellow community leaders, we have a unique appreciation for the work they do and feel they deserve a special shout-out. Thanks to the work of these folks, just imagine the people that will meet, businesses that will start, ideas that will bloom, and lives that will change. Natalie Elizabeth Ellis believes in a tribe of Boss Babes uplifting and supporting each other in both their personal and professional goals. Her community, The Société, offers monthly success kits, a weekly newsletter, Facebook group conversation, a monthly book club, and video webinars with Natalie herself. It’s chock full of value and oriented in ‘supporting their own’ – thousands of their own, in fact. I’ve experienced it firsthand: right when I joined the community, they chose my recently published book, Her Big Idea, as their July book club selection. Their belief in supporting and uplifting other women runs in their veins. Shriya Nevatia is a Bay Area-based supernova who created female founder community, ‘The Violet Society.’ Referring to themselves as a “startup sisterhood for future founders,” the community goes beyond connecting and into doing. They offer a 12-week program for cohorts of 12-14 early-stage founders and are planning a retreat & hackathon this coming fall. Shriya’s own background in tech startups and a fierce heart for supporting others empowers her as the perfect community leader, who is no doubt leading the charge for a new wave of female tech founders. Jan Smejkal is the Community Director in China and Asia Pacific for the wildly popular entrepreneurship community ‘Startup Grind.’ He carries a sense of community with him always – apparent from first speaking with him, he’s oriented in, “How can I help?” Focusing on 85 cities, he helps startups and their builders grow their companies, all while working to grow Startup Grind proper. In fact, in just about two years, grew the number of Startup Grind cities in China by six times. Talk about accelerating community! Chelann Gienger is an author and entrepreneur – founder of NUYU Juice Bar and author of bestselling book Dear Millennial, she’s devoted her life to making entrepreneurship an exciting path for millennials. In addition to her podcast ‘Entrepreneur Before 25,’ she’s created a Facebook community called “The 25 Tribe.” Most recently, she launched a video series called ‘Iron Sharpens Iron,’ in which she brings in experts on a given subject area for a roundtable discussion. She’s taking it a step further this year, with her first ever Mastermind Retreat this coming September in the Pacific Northwest. Allie Felix is an example of a community curator who continues to foster friendships and support systems beyond her job. Previously, Allie worked in community for Work-Bench, curating their communities in NYC and San Francisco, yet recently she transitioned to her hometown of Tampa Bay to work for their innovation hub, Embarc Collective. In a recent Medium post, she noted that the landscape for where startups should root themselves is changing; they no longer have to be in the thick of original ‘hubs’ (think: Silicon Valley). She shared in her Next Gen LIVE! Webinar that she utilizes events as a way to meet others and form meaningful connections. Fond of an event’s speaker? Tweet at them with a quote from their speech and share why it mattered to you. And, always add people you meet on LinkedIn afterward, but include a personalized note about how you met them. It’s inspiring to learn of the many community leaders out there building spaces for networking, connecting, and inspiration aimed toward a specific niche. No doubt, communities make the world feel a little smaller, opportunities more frequent, and friendships easier to forge. Cheers to all the unique communities out there who empower each other every day, and thanks for making Next Gen so special.